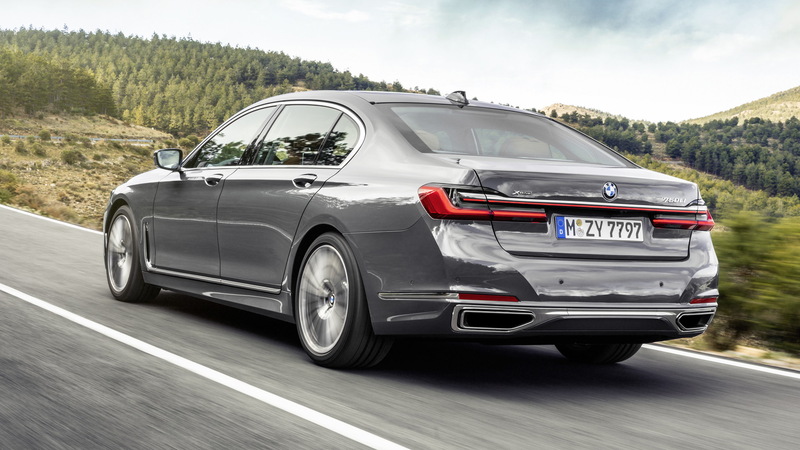 The BMW 7-Series has always been a solid option in the full-size luxury sedan segment, especially for buyers who enjoy the occasional—or frequent—spirited drive. Yes, the 7-Series is a big sedan that can seriously hustle. However the latest generation, though technologically advanced with items such as lightweight Carbon Core construction and an innovative gesture control interface, has been lacking due to its pedestrian look. It's not a good situation when your flagship is easily mistaken for a lesser model. This has been reflected in the sales, with BMW moving just 8,271 examples in the United States last year. Compare that with the more expressive Mercedes-Benz S-Class which racked up 14,978 in the same period, though admittedly the S was helped along with coupe and convertible body styles. 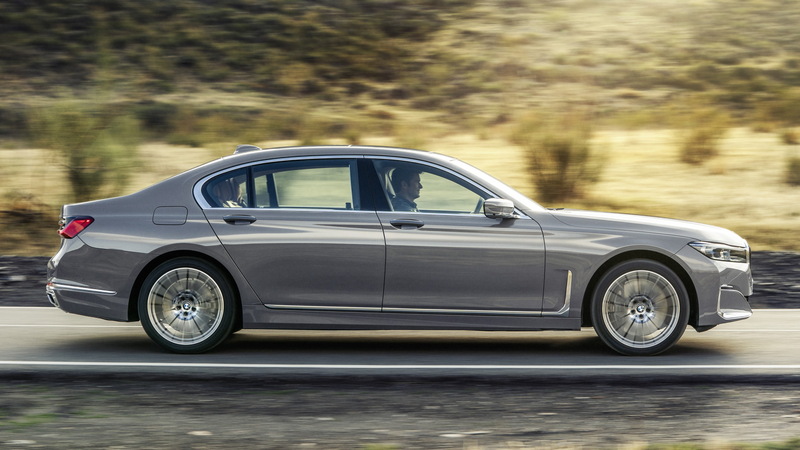 BMW has sought to rectify the issue with a major mid-cycle refresh for the 7-Series. The updated model is due in showrooms in April and arrives as a 2020 model. Most obvious is the new face which is dominated by a massive grille not unlike the one found on the recently launched 2020 X7. We're told it's up 40 percent in surface area compared to the outgoing model. Hey, it's still not the worst offender when it comes to big grille syndrome. The new grille is joined by slimmer headlights that offer a laser light option, as well as a revised front fascia and more pronounced power dome for the hood. 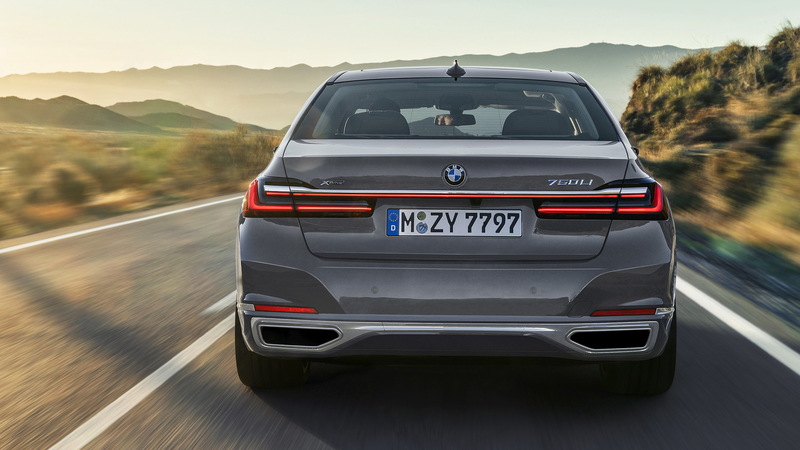 The rear has also been treated with a new fascia and the tail lights now feature an LED strip joining the separate clusters, which seems to be the trunk lid du jour among luxury brands. The interior of the updated 7-Series has also been substantially improved. While the layout remains much the same, the list of materials are better, especially the leather trim offered for the seats. It's just begging you to sit back and relax. Also new is the 12.3-inch digital instrument cluster. A 10.25-inch screen serves as the infotainment hub and additional screens can be added for rear-seat passengers. You'll also find a long list of standard features including adjustable dampers, air suspension, a panoramic sunroof, Harman-Kardon audio, wireless charging, Wi-Fi, and Apple CarPlay smartphone integration. There's also standard electronic driver aids including front collision warning with automatic braking, blind spot and cross traffic warning, and parking assist with a 360-degree camera. Buyers are spoiled for choice when it comes to powertrain options. The entry-level model is a 740i with a 3.0-liter turbocharged inline-6 good for 335 horsepower and 330 pound-feet of torque. Above this is a 745e iPerformance plug-in hybrid whose inline-6 and electric motor combo return 389 hp and 442 lb-ft and further up still is a 750i with a 4.4-liter twin-turbo V-8 good for 523 hp and 553 lb-ft. Sitting at the top of the range is an M760i. This M Performance super sedan features a 6.0-liter twin-turbo V-12 conservatively rated to 600 hp and 627 lb-ft. 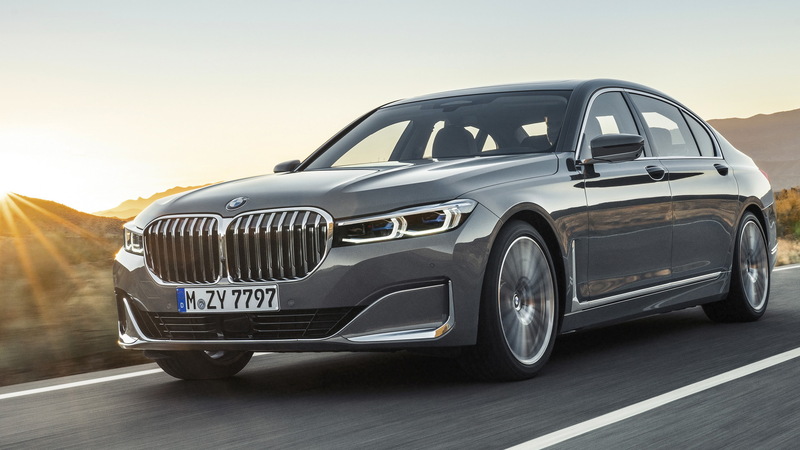 While buyers shouldn't hold their breath waiting for a dedicated M version of the 7-Series, BMW together with semi-official tuner Alpina offers an alternative in the form of the B7. An updated version of this super sedan is due out soon. 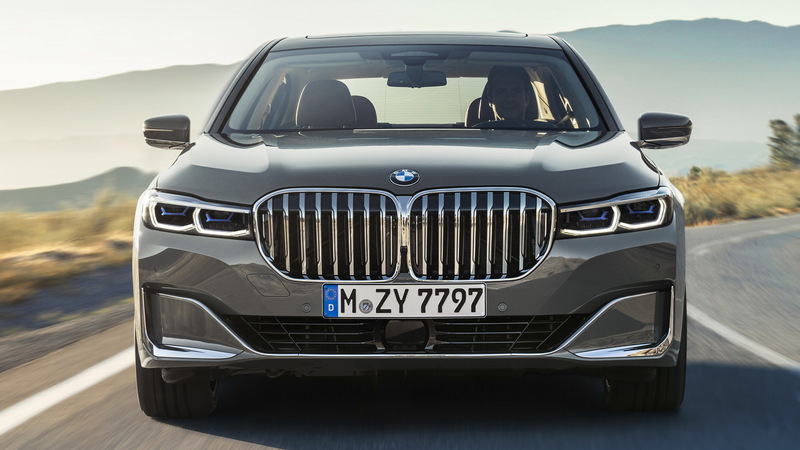 Pricing information for the 2020 7-Series will be announced closer to the sales launch this spring but as a guide the 2019 model starts a bit over $83,000. Rivals include the Audi A8, Bentley Flying Spur, Cadillac CT6, Lexus LS, and the aforementioned S-Class.